In 2002, there was only one level of FX4. In 2007, the Ford Ranger FX4 Level II had a FX4 Off-Road sticker on the bed, and a decal on the doors that said ‘Level II’. From 2008-2009, there was only a FX4 Off-Road (no Level II). 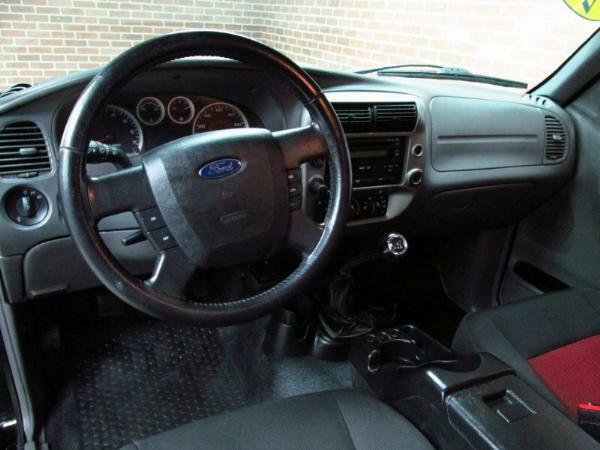 The 2002, 2008, 2009 FX4, and 2003-2007 FX4 Level II have either an all black interior, or black with either red or blue inserts. All other FX4 Off-Road models with either have the gray or tan interior. Not all FX4’s received the 31-spline 8.8-inch rear with the Torsen limited slip differential. Only the 2002 FX4, and 2003-2007 FX4 Level II’s. In 2008-2009, the Torsen was optional. 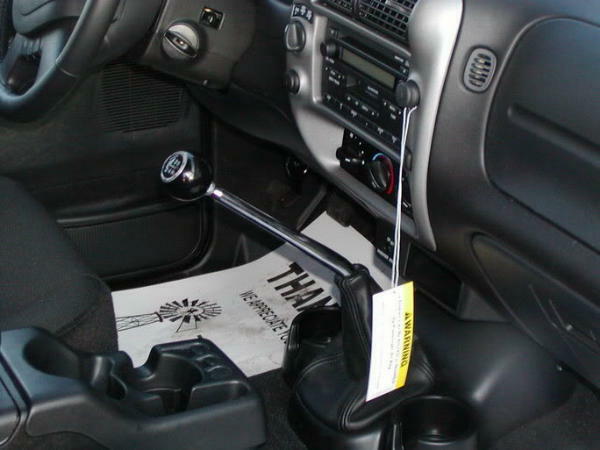 Only the 2002 Ford FX4, and 2003 Ford Ranger FX4 Level II had the optional manual transfer case. The FX4 Level II was not sold (or offered) as a flareside (stepside). Only the 2003-2004 FX4 Off-Road models had a flareside option. Ford was serious about this truck too. Their engineers brought the truck and went offroading with us in 2001 (before it’s release) (See ‘Wheeling With Ford). Ford is proud to inform us that the Ranger has been the compact-truck sales leader for the past 14 years. Of course with plenty of competition in the compact-truck market, one does not stay at the top of the heap by simply putting out the same vehicle year after year. To stay on top, the Ranger has been reengineered several times since its introduction in ’83, with plenty of refinements and upgrades along the way. For the ’02 model year, one of these refinements is the FX4 off-road package.You may recall that when we tested the Ranger’s bigger brother, the F-150, with the FX4 package (“2002 Ford F-150 FX4,” April ’02), that vehicle yielded marginal results. Fortunately, the Ranger and F-150 FX4 packages are similar in name only. The Ranger’s includes a more substantial list of dirt-ready equipment. When it’s equipped with the FX4 package, the Ranger receives a 4.0L V-6, 4.10:1 ring-and-pinion gears with a limited-slip rear diff, Alcoa aluminum wheels, 31-inch BFGoodrich All-Terrain KO tires, Bilstein shocks, and heavy-duty springs. Also included are tow hooks, a heavier front skidplate, sport bucket seats, special rubber floor mats, and the power equipment group. We were eager to see what the Ranger, newly armed with this impressive list of equipment, was capable of. The Ranger FX4 is powered by Ford’s 4.0L V-6. It provided good acceleration when combined with the 4.10:1 ring-and-pinion gears. Right from the start of our test, we noticed that the 4.10:1 gears, five-speed trans, and 4.0L V-6, which makes 207 hp and 238 lb-ft of torque, is a sweet combo. Coupling this power with the 4.10:1 gears meant that the Ranger gets up and goes when the accelerator pedal is stomped on. Adding to the fun is that the peak torque for the 4.0L comes in at a low 3,000 rpm. Yes, it was fun to stomp on the Ranger’s go-pedal, as plenty of power is available down low in the rpm curve. Meshing nicely with the 4.0L V-6 is an electronically controlled five-speed automatic transmission that always seemed to have the appropriate gear on hand. Another high point for the Ranger included its rack-and-pinion steering. While a bit on the heavy side in terms of effort, the rack-and-pinion setup provides quick, precise steering. The steering also gives a good road feel and that was a benefit whether guiding the Ranger through city traffic or across a twisty mountain pass. The interior of the Ranger also earned high marks in our test. While the seats are somewhat basic, they are comfortable for a wide range of body types and do offer a good amount of adjustability. A full complement of gauges also conveys all of the necessary information to the driver. The only drawback to our Supercab Ranger was that there was not a lot of room behind the seats. However, this is common among compact pickups as there is only so much space available to work with; the Ranger was no worse than its competitors. Articulation on the rear of the Ranger is impressive for a stock vehicle. This combined with the effective limited-slip diff in the rear axle helped the Ranger maintain traction on the trail. Our Ranger featured this interesting tonneau cover that opens from either the front or rear and features a center divider. 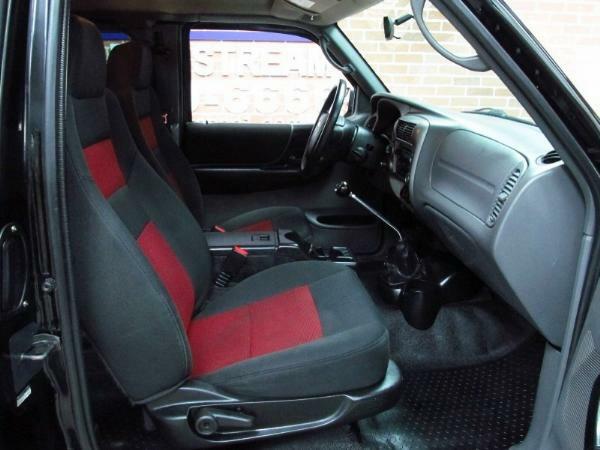 While it was useful, it is an $895 option when combined with the bedliner. 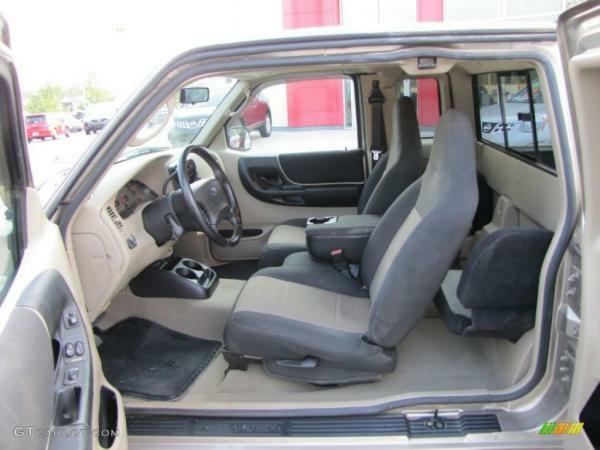 The interior of the Ranger was fairly basic as it didn’t have any of the high-end luxury components such as leather, GPS navigation systems, and heated seats we often see in test vehicles. Good. We can do without all that stuff. More important to us was that it was plenty comfortable. While the drivetrain and the interior of the Ranger received compliments, the brakes didn’t draw much praise from our testers. While the brakes provide excellent pedal feel and were easy to modulate, they only provided average stopping distances at the track when going from 60 to 0 mph. Loading the Ranger up to half of its 1,333-pound payload taxed the brakes and produced longer stopping distances. So what about the performance of the components included in the FX4 package? Pretty effective, overall. At the core of the package are its heavy-duty springs and Bilstein shocks. Spring rates are just about right for a variety of activities from cruising down the highway to bouncing along a rutted two-track. The shocks did an effective job of handling impacts of all sizes. Their effectiveness gave the Ranger a smooth ride on the highway, let it absorb slow-speed impacts when crawling around in low-range, and also allowed for spirited high-speed dirt running where bigger bumps must be absorbed. Only the lack of wheel travel inherent to the design of the Ranger’s independent front suspension limited the suspension’s performance; luckily, the rear of the Ranger has a good amount of articulation. A pleasant surprise was the Ranger’s twisty pavement ability. Its handling was above average for a compact pickup. A key part of the FX4 package is the 31-inch BFGoodrich All-Terrain KO tires on Alcoa aluminum wheels. This combo means that we won’t have to replace the wheels and tires first thing, as the Alcoa wheels look great and the BFGs provide plenty of traction. The 31-inch BFGoodrich All-Terrain KO tires provide excellent trail traction. Having a three-ply sidewall also meant we didn’t have to worry about changing flats resulting from cut sidewalls. The only slight drawback was a minimal increase in tire noise at freeway speeds, thanks to their aggressive tread pattern; but their performance, when compared to the passenger car tires that we normally see on trucks, was well worth this small price. Also helping to provide traction in the dirt was the Ranger’s limited-slip rear differential. It was tighter than many of the other limited-slips we have tested, and transferred power quickly, helping the Ranger find traction on the loose and rocky sections of our test trails. The only major drawback of the Ranger on the trail is that its belly is somewhat low and this caused it to drag in some sections. With our test over, we grudgingly returned the Ranger FX4 to Ford’s test fleet. While we did have a few minor complaints, for the most part we were impressed by the F-150’s little brother. A fun engine, nice transmission, functional interior, and great steering made the Ranger a blast to drive. 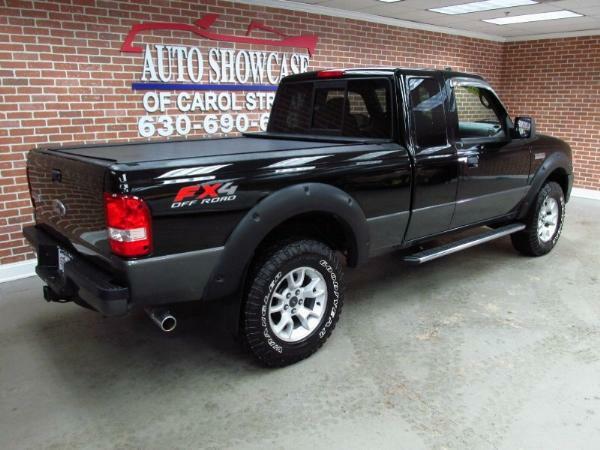 Coupling those fine traits with the FX4 package make it capable on the trail making it a good choice for someone looking for a compact pickup with some trail capability straight from the factory. This is where things get confusing for people. Honestly, Ford should never have created the Level II name. It should have been the FX4, or just a 4X4 Offroad model. To this day, people still don’t know the difference, and some probably don’t even realize there’s two levels of the FX4. In addition to the standard features on every Ranger model, listed below are a few of the key features included on the FX4. See the whole 2003 Ford Ranger Sales Brochure HERE. In addition to the standard features on every Ranger, listed below are a few key features included on the FX4 Off-Road in addition to or in place of those on the XLT. In addition to the standard features on every Ranger, listed below are a few key features included on the FX4 Level II in addition to or in place of those on the FX4 Off-Road. 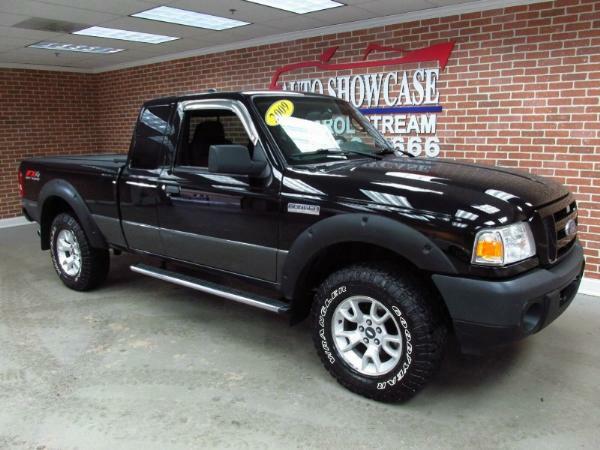 We do not have the sales brochure for the 2004 Ford Ranger. We are looking for a .pdf version of it. See the whole 2005 Ford Ranger Sales Brochure HERE. See the whole 2006 Ford Ranger Sales Brochure HERE. See the whole 2007 Ford Ranger Sales Brochure HERE. See the whole 2008 Ford Ranger Sales Brochure HERE. See the whole 2009 Ford Ranger Sales Brochure HERE.